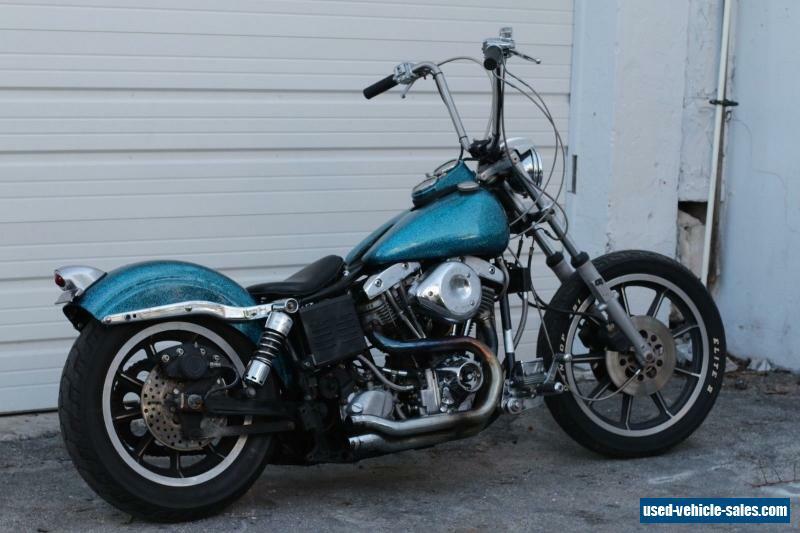 Vintage 1980 Harley Davidson FXEF shovelhead bobber. Awesome bike thats ton of fun to blast around on. Dual discs up front and mag wheels make it perfect around town ripper. Has an electric start and starts right up cold or hot. 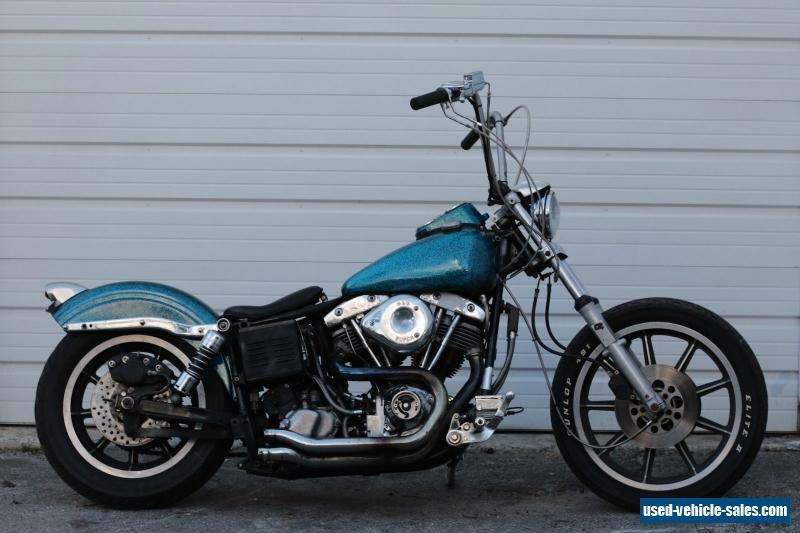 Has the usual shovelhead oil drip once in while, but no big puddles or anything concerning. Does not smoke or anything else. It was given really cool bass boat style heavy metal flake paint job quite some time ago, that pictures do no justice for in the sun. Rear has been lowered and the fender was bobbed, along with the custom solo seat. just put pair of custom stainless apes on it and it's extremely comfortable and looks great. 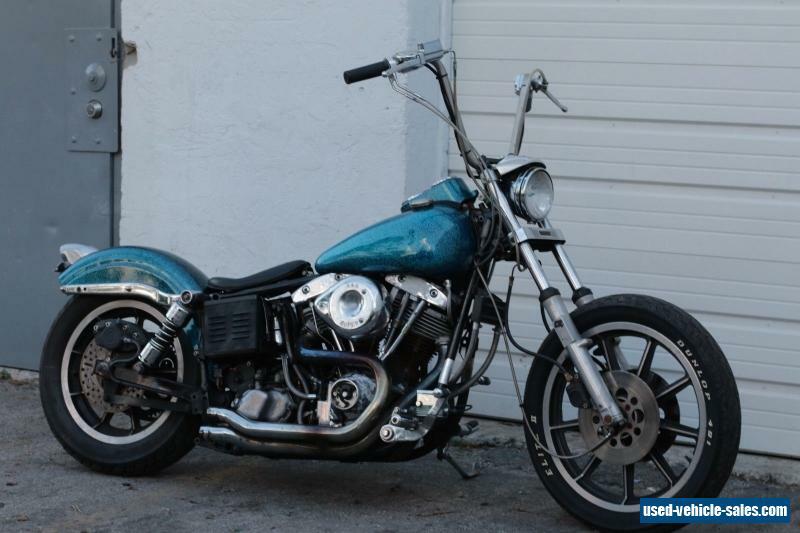 Has the bigger 80" engine upgrade and the engine is all original Harley except for the upgraded S&S carb. The chrome on the rocker boxes and cam cover are flaking off and there is some surface rust on parts of the bike. Not very hard or expensive to fix if that bothers you. Frame and engine numbers match and have clean Harley title for it in hand. can assist in shipping anywhere, both international or domestic. have good contact who can ship this bike to NE Europe for only $350.